Three years ago we hosted the first Fly It Forward Event at Renton Airport and held an essay contest. Do you want to know why we do this? Because that first flight can change a life. Abby Jarve is one such a life. 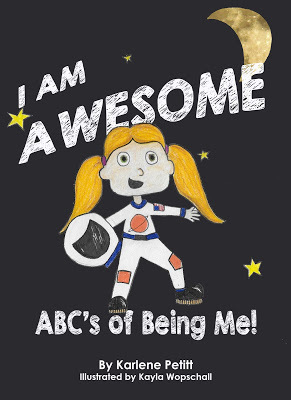 She joined our excitement, entered and essay contest... (You can read her first essay HERE). She won, took a flight lesson and the rest is history. While finances are tough, she still needed money for college. And she won yet another essay contest. This time for $3500! 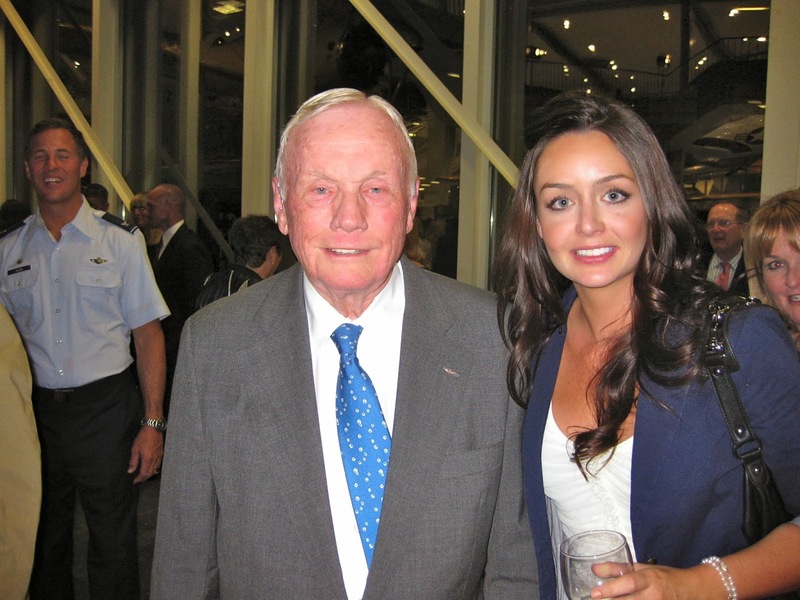 When you read her amazing essay, you will know what Women Of Aviation is all about. It's about inspiring and igniting a passion. Then the work is up to the individual. I remember the exact moment I fell in love with aviation. It was the summer before my freshmen year of high school, and I was driving home. All my life I had been surround by SeaTac Airport and Boeing Field, and the only thing about aviation I heard was complaints about the noise and the third runway taking way people’s homes. The community outlook was never very positive, but on that one sunny day I finally looked at the sky. Right at that moment, a plane took off the runway on the bridge above the road. Never before had I realized how amazing aviation was. It was a 737 from Alaska Airlines. The white color of the fuselage was bright and had a stark contrast against the blue sky, and the roar of the engines could be clearly heard inside of the car. This huge chunk of metal was leaving the ground, somehow overcoming gravity. It was beautiful. This moment changed my life. I quickly changed my life to revolve around aviation. 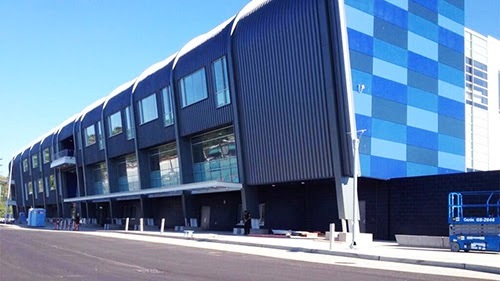 I enrolled in Raisbeck Aviation High School to not only take classes about flying planes, but learn how to design and engineer them. Somehow planes are able to fly by manipulating gravity and lift, and I needed to know everything about it. I took Aerospace Engineering, History of Aircraft Design, Aviation Law, Ground School, and quickly fell more involved in the aviation field. I built wing beams, heat shields, and I learned aviation’s impact on the environment. I designed more ecofriendly ways for airports to reduce the use of deicing fluid, and I conducted interviews with engineering firms in Canada and The Port of Seattle. 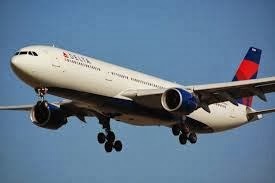 I joined my schools Airline Career Experience Club. I volunteered at The Museum of Flight, trying to share my passion with others. In the summer I was there every single week day, and I spent every Thursday night at the museum during the school year. There I was not only exposed to fixed-wing aviation, but also to helicopters and to space travel. I used Microsoft Flight Simulator constantly, imagining the first time I would actually fly a plane. 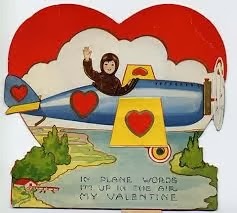 It was amazing to think that just over a hundred years ago there were no airplanes. Not too far into my freshmen year I had the opportunity to fly for the first time. To get more girls involved in aviation, Karlene Petitt, a pilot for Delta Airlines, and a Boeing Flight Club made an event to give free flights for those who signed up. I submitted my name in a heartbeat. The plane I flew in was a Beaver, and I was a little scared walking up to the plane. 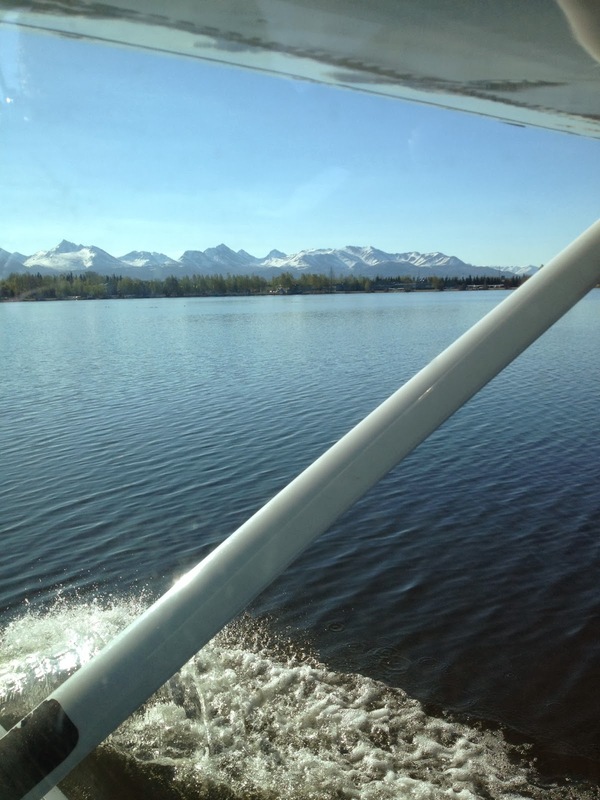 I was not expecting to fly in a seaplane and watching the plane tilt and move with the waves worried me. And most of all, I was worried that my idea of aviation would be diminished, that it was not as amazing as I thought it was. But as soon as I got in that plane, my whole perspective changed. 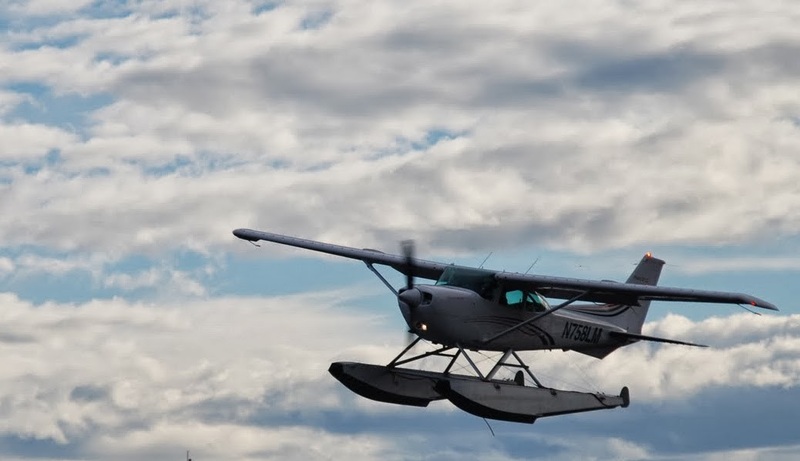 The pilot spoke on the radio in fast words that I did not understand, he played around with the instruments, and before I knew it we were leaving the water. The world is different from the sky, everything moves slower and looks much more beautiful. After that day, there was no turning back. 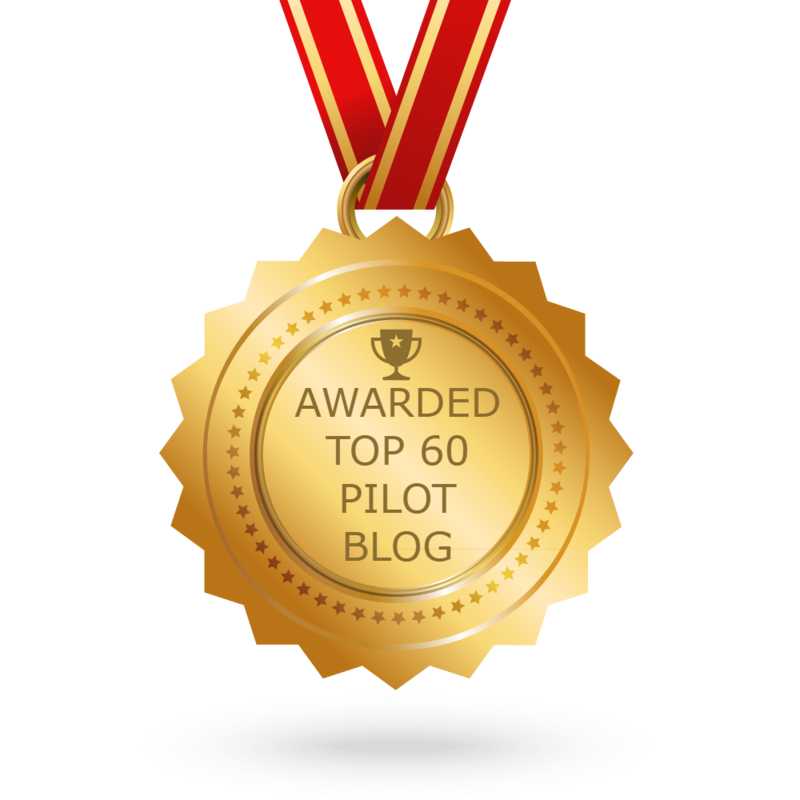 I entered an essay contest Karlene Petitt sponsored, and was lucky enough to win a flight lesson. 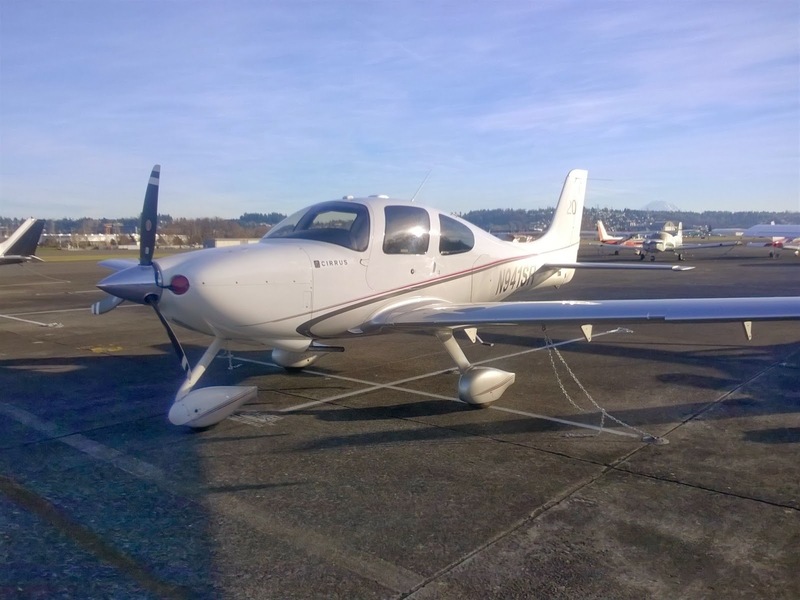 I flew in a Diamond Da-20, and it was the first time I flew a plane. Seeing how much control I had over it and feeling the strength of the engines, I felt powerful. I had so much responsibility over this expensive plane, and knew that when I was a commercial pilot there would be hundreds of passengers relying on me to know what I was doing in the cockpit. It was a lot of pressure, but a challenge I was more than willing to take. After the instructor landed the plane, I applied for a part time job that I have had for three years now. I started a firewood business, cutting down trees and selling firewood out of my truck. I got a full time job in the summer at The Museum of Flight as a camp counselor. Between work, extra-curriculars, and school I barely had time to sleep. The stress was overwhelming, but I was desperate to save every single penny I earned towards learning to fly and tuition for college. Now that I am a senior, I still do not have enough. Minimum wage only goes so far. But I am doing everything possible to make my dream become a reality. And to think that this all started by a well-timed glance at the sky that I will forever be grateful for." Abby dropped by the Aviation Trade show and I gifted her with a few books (Compliments of Syd Blue) that she can read before she starts school. Yes... Abby is going to college next fall. She was accepted into two fine aviation universities and selected UND. To think this all started with a look to the sky. A dream. And somebody willing to give her a free flight. But then it was all Abby. Through her diligence and hard work, she is where she's at today. She deserves all the credit for her success. To all our pilots who donate their time... this is what happens. This is why you do it. And a special thanks to Galvin Flying Service as they donated that first lesson Abby took. How Good Should They Be? Unlike what its name implies, Test Pilot School graduates more than pilots. In normal years, half the class is non-pilots like Combat System Officers (WSOs and Navs for you old school folks) and Flight Test Engineers (FTEs). While officially we have separate curricula for our non-pilots, academically it’s 95% the same as what we teach our pilots. Only through the flying and the resources we spend for solo flight approval (or crew-solo with their classmates) does the curriculum diverge. 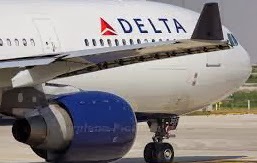 But, while we teach the students practically the same content, the performance expectation is different in the airplane whether you’re an FTE or a pilot. The difference is related to our pilots having spent their entire professional career learning to be fully responsible for themselves and their aircraft; our FTEs are just learning the ropes of aviation. Pilots learn the operating limits and systems of the aircraft they’re expected to fly solo in. The FTEs - they’re institutionally required to know only how to strap-in and how to egress in the event of an emergency. Formally, there’s a substantial difference in expected knowledge between pilots and FTE’s. The question becomes, how much should FTE’s be expected to know? Here’s the problem, it comes down to resources, grading, and the time allotted. As I’ve heard some instructors say, “I can teach my grandmother to fly. It’s all a matter of how much time you have.” I think that’s mostly true. 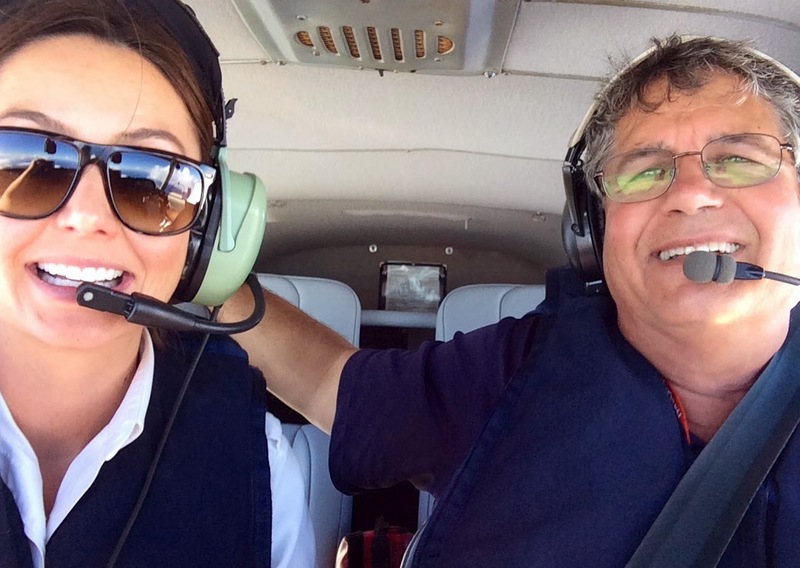 If you have enough time and resources, you can teach most people to be competent pilots. But, if you’re limited in resources and don’t have all the time in the world, there’s only so much you can demand from your students. We spend a lot of time teaching our students how to generically conduct tests. All our students are exercised with increasing levels of complex scenarios and differing environments throughout their school year. This starts with a simple introduction in the C-12 with the Test Conduct Sortie, where the students are exposed to the simple mechanics of flight test conduct. Eventually, the FTE’s take a control room evaluation where they’re assessed on their skills at controlling an airborne F-16. The entire maturation process of the FTE, from knowing nothing of test conduct to being able to effectively control a real test, hasn't been well documented. The school always had a reasonable undocumented approach to how it conducted this education. It just didn’t list it very well with appropriate milestones and objectives for each training event. Last year, the school’s 69th year, we finally published a “Test Conduct” curriculum complete with desired learning levels for all the various training events throughout the school year. It’s a good document and will definitely help make Test Conduct training more consistent for our students in the future. How does this relate to FTEs and “how good should they be?” We still haven’t documented what operational in-flight skills our FTEs should have by the time they graduate. I’m not talking about conducting tests. I’m talking about how effective an aircrew member our FTEs should be. Should they be required to know more about their aircraft than simply how to get in and get out safely? Should they be able to recite emergency procedures properly and effectively, and be able to operate as a team with their fellow student pilots? Of course, the quick answer to this question is, “Sure! We should expect all graduates to operate as effective, contributing members of their teams, and to be able to help and be responsible in all ways possible.” But, the answer is not so simple. Remember, most our FTEs have no aviation background prior to the start of this course. Except for their superlative engineering credentials, they could be anyone coming off the street. This means any knowledge we expect them to have has to be taught by the school, from scratch. To ensure they have the skills to suffer through any emergency for any aircraft we assign, and effectively support analysis and successful recovery from those emergencies, we will have to teach them everything. I’m not sure there’s a simple way to speed learning basic airmanship other than setting expectation levels just as if they were new pilots—except they don’t have to have skills to actually fly. At the Northwest Washington Aviation Trade Show last weekend I met some amazing people. And Kim Star was one of them. I am still in awe of her talent. I want this painting! 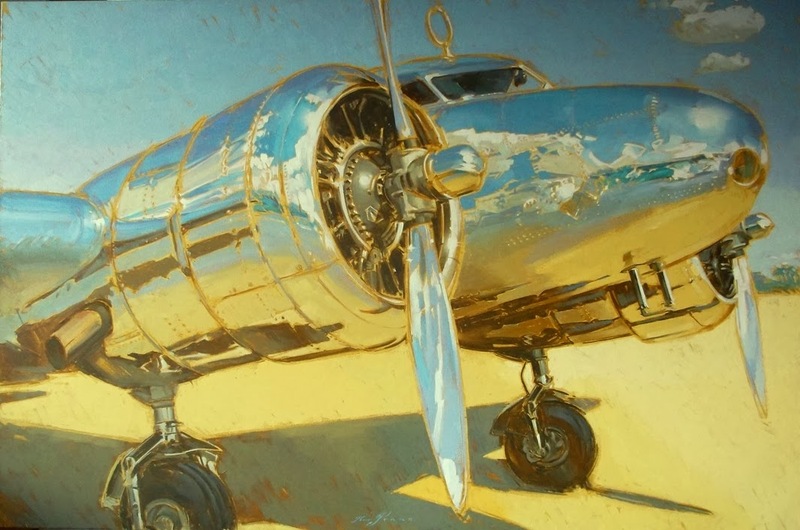 While not many of us would have the room to hang a painting this size, could you imagine having an oil painting of this quality painted of your plane? "In the last 25 years, Kim Starr has created classic paintings and works on paper for corporate and private collections. Her extraordinary art hangs in public spaces, world-class resorts and homes throughout the world. Hilton hotels, Hyatt resorts, and the Sheraton properties proudly display her art. The success of her gallery exhibits has been overwhelming." I borrowed that from her website...someplace where you should visit to learn more about Kim and her work. I believe this is her first aircraft painting, and she would love to paint your plane! Check this out and if you are interested... please contact her. You can find contact information is on her website. to climb into the plane and take flight. 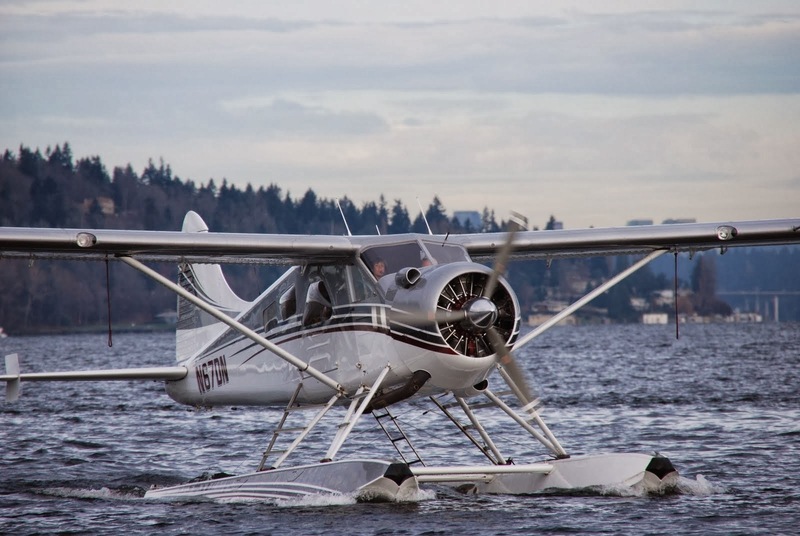 Rainier Flight Service tells us why they are donating a Cessna 172, for two days, to take the girls flying. YES... Two days of free flying thanks to the great folks over at Rainier Flight Service! 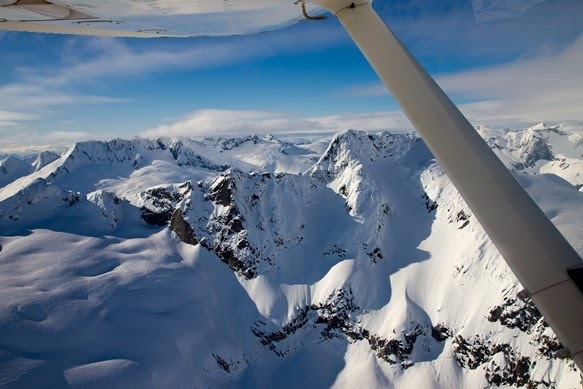 Gordon says, "For the past several years I have read countless articles lamenting the decline of general aviation. Everyone is quick to toss out statistics proving the decreasing number of pilots, aircraft purchases and fuel sales are due to increasing costs. The high prices of gas, insurance and maintenance are creating an industry where only the privileged can participate. To compound matters, barbed-wire fences surround airport perimeters presenting a very unwelcoming impression. What I don’t hear are many solutions. While I don’t have a simple fix for our industry’s issues I do have a simple concept that will get us in the right direction. One thing that hasn’t changed is the passion for aviation. Children still look up when they hear an airplane flying overhead. People still park cars and watch jets takeoff and land at their nearest commercial airport. But what we have done is create barriers to not allow these people to participate and share their passion. High costs have created financial barriers. Fences are erected as physical barriers. But worst of all, we have created an emotional barrier as an industry by saying you cannot participate unless you have the money. This short-sightedness is, in my opinion, the largest contributing factor to the decline in GA.
Now don’t get me wrong. I own a flight school. It takes money to pay rent, salaries, utilities…and it isn’t cheap. Revenue is what keeps us in business. But equally important is creating a welcoming atmosphere and opportunity to participate – no matter your age, gender, race or income. If you can’t afford the $10,000 right away to get a pilot certificate and are turned away – that is our failure as leaders in this industry! Instead we need to bring you into the fold with open arms. Maybe while you are saving up to take lessons next year you can start studying the ground knowledge. 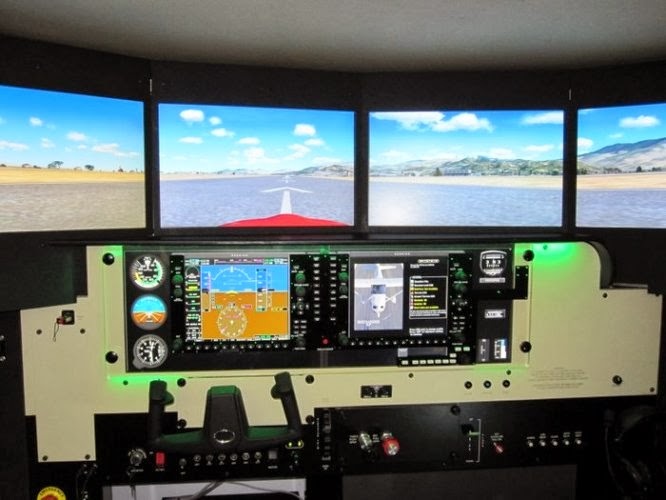 (There is no end to education in aviation) And while you are doing that attend FAA Safety Seminars, visit trade shows, get involved with aviation charities and bring your friends to fly-in pancake breakfasts. Even if you drive-in I guarantee you are just as welcome. Most of these events are entirely free and the people you will meet lead to opportunities you can never imagine! we are trying to do our part! Our goal is to host at least three events a month with a combination of social, educational and fun themes that don’t cost a dime. And if none of our events pique your interest, attend any of the multiple events happening all over Puget Sound. 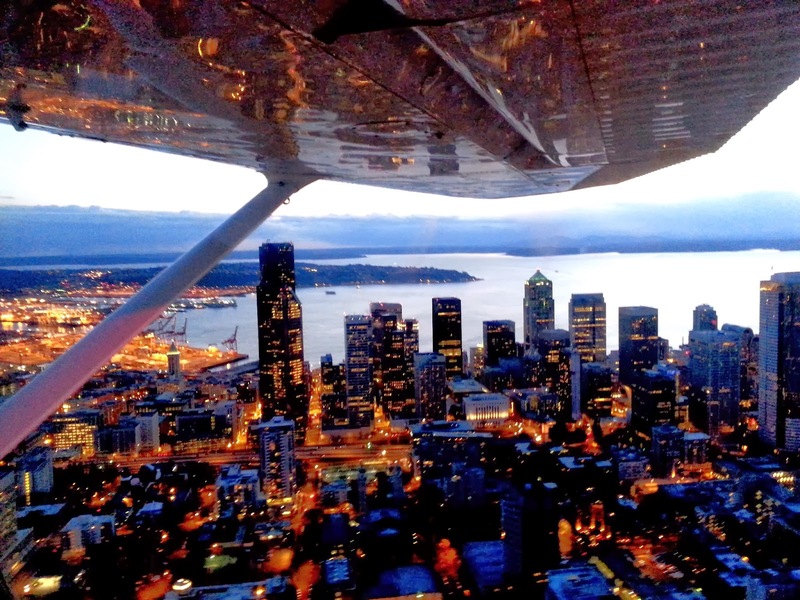 The Event Calendar on our website lists all aviation-related events in the Seattle area so you can always see what is coming up. Bring your friends and family. Expose as many people as you can to aviation and let your passion become infective. To survive we need to gain in numbers in the short-term which will lead to a long-term prospering industry." 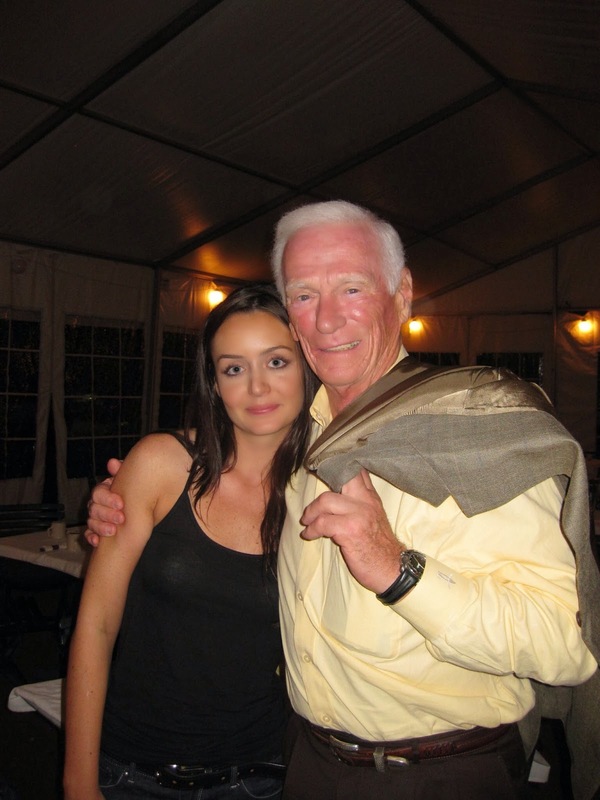 Please join me in thanking Gordon for donating a plane and for sending us one of his fabulous instructors. Kate, THANK YOU for coming to fly with us! The great people over at Renton Airport at Rainier Flight Service are doing their part. And when I start flying small planes again, this is the flying club where you'll find me hanging out! Find your country, state, city then register! This weekend I was at the Western Washington Aviation Trade Show and met so many wonderful people doing incredible things with their lives revolving around aviation. I want to thank everyone who dropped by our booth, chatted, and especially those who took home a copy of Flight For Control and/or Flight For Safety. I really appreciate your support!!! I will be spending the next few weeks introducing you to some incredibly talented people I met at the event, and all they have to offer. But I promised today to someone special. Years ago in college days, my son-in-law Torrey (married to my youngest daughter) wrote a few songs and put them into an album. His brother, who happens to be living in London now, invested in a movie and introduced one of the songs to the producers. They created a video (without Torrey knowing) and one day he received a copy of his song. What a surprise to see your college "goofing around" talent come to life many years later. "The video was shot in one day in East London. The video address’s that human interaction that has been around for generations - ‘Cool’ versus ‘Not Cool’. Although today’s headlines tend to focus on the very serious and negative impacts of bullying, the video takes a more positive look and aims to portray the idea that you will make it through, and things will get better. Those who thought they were the cool kids early on, simply end up being envious of those they once bullied. I hope you enjoy the song and video." Please click on the YouTube link (bottom right of photo) to go to YouTube! I love this song. Love the video. And I love the premise. I want to help Torrey get as many hits as possible on You Tube. So check out the video, like it, and then come back and read how this all came about. "My buddy and I had a musical duo in college (TBB) and played small venues playing cover songs while also writing our own material. After we graduated college, we purchased an 8 track recorder to mess around with. We put together and ‘produced’ a cd from it. ‘Cool Kids’ was on that album. The song’s narrator seems to be a disillusioned city dweller. He dramatizes his social status and has visions of anarchy and apocalypse. This narrator looks to ‘cool kids’ as an entity that must be infiltrated. What is interesting about this song is that it paints young males as some kind of actors in a play. Their props- alcohol and women. For them, the appearance of having a strong warrior pack is more important than individual love and desire." Can You Help me make TBB Cool Kids video go Viral? And Thanks for a great weekend Eric! Eric, alias Cap'n Aux, was a great house guest, and sold many of his fabulous books: The Last Bush Pilots and Code Name Dodger. And he's donating 50% to charity! 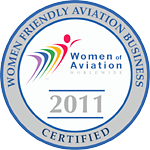 Stay tuned for more as Women of Aviation, and Women in Aviation, are just around the corner. Oh... and wait until you see my new airplane(s)! Photos coming. And Thank you for watching Torrey's Video! 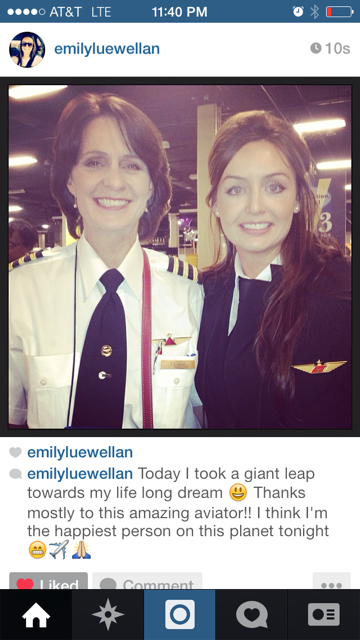 Last year I was fortunate to meet Emily at the Women in Aviation conference. We had emailed and talked about her career and the airlines...etc. Then last week I missed her call as I was on a plane to Austin, but she sent me the most wonderful text, followed up by an email with the greatest news!!! Emily won the Delta Airlines type-rating scholarship! I am so excited for her. 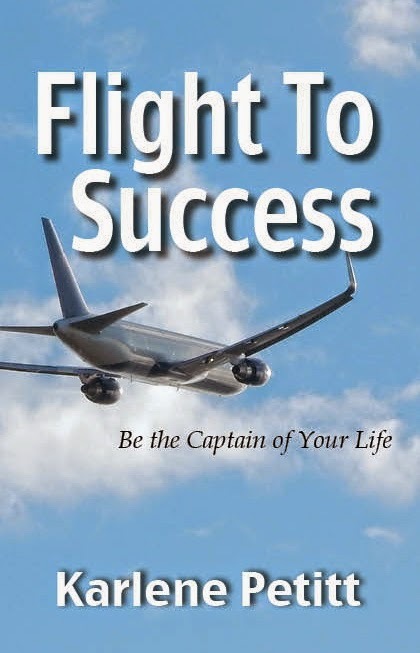 She was gracious enough to take the time in her busy schedule to share with us, her life and how she became a pilot, and her philosophy on success. If you want something... see what other people are doing to achieve success, and emulate them. 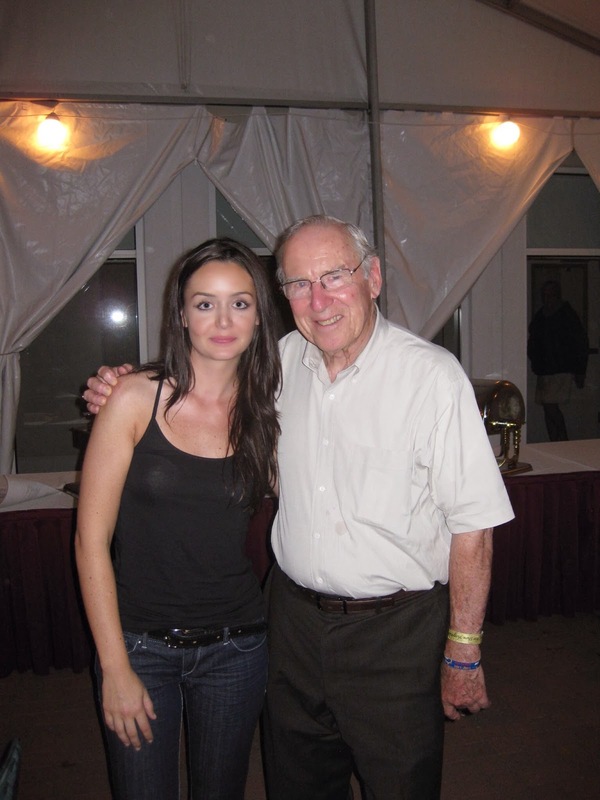 Oh... and the photos were taken over the previous two years with her childhood heroes: Neil Armstrong, Jim Lovell, Gene Cernan and of course the first photo, and greatest hero, is Emily flying with her father last month. "I'm a strong believer that success is truly a group effort and milestones are accomplished through a support system, or team. There have been so many people in my life who continue to encourage and support me and my endeavors, and I certainly wouldn't be where i am today without all of them. In particular my family. Starting with perseverance; of course we all want to do well for our selves. We set goals in life and strive to do the best we can for many reasons. Being able to take care of ourselves. Being financially stable. Having a position at a successful airline so we can support our families is also an important reason to stay driven. But making my family and those who support me proud, being able to see the smile and watery eyes on my father's face when I achieve something I've worked so hard for is a huge reason I remain motivated and driven to reach my goals. It took me a while to understand this, but my success brings happiness and joy to everyone in my life, not just myself. My support system is comprised of my family, friends, coworkers, people I volunteer with, teachers, flight instructors, Chief Pilots, mentors, even Captains I fly with. I've had the same dream of working for one particular airline since I was in high school. It started with my father constantly encouraging me to write my 1, 5 and 10 year goals down on a piece of paper, and how I would achieve these goals, and to revisit that list every few months to make sure I was still on the right track. I'm not sure I would have developed the same determined personality if it wasn't for my parent's enthusiasm for me to succeed in whatever I set my mind to. I'm thankful they were able to instill this particular trait in me by leading from example. I made up my mind early in life what my goals are. 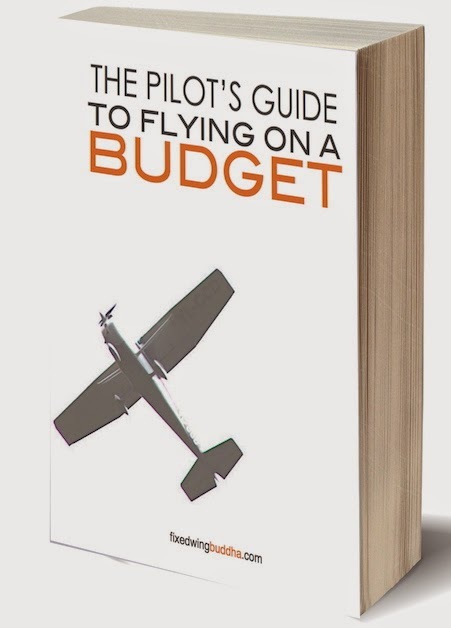 As a Freshman in high school found a volunteer organization where I could receive free flight instruction, a free use of an aircraft, and could learn to fly for the cost of fuel. 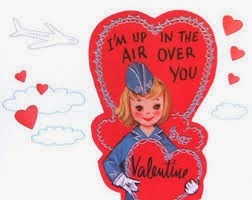 The Civil Air Patrol (CAP) allowed me to begin flying when I was 14. I just wasn't interested in sitting around and waiting, and there was no flight school where I grew up (the closet one being a two hour drive away) so this opportunity seemed too good to be true. I received my private certificate when I turned 17, as a junior in high school. What I didn't realize at the time, was spending time volunteering with the CAP allowed me to meet someone who jump started my career years later when I was ready to head to the airlines. Volunteering and giving back actually gave me one of the greatest opportunities in my career. 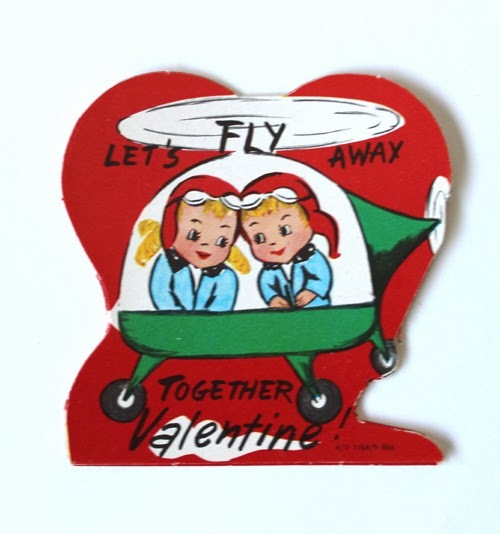 I learned about other volunteer organizations such as Women in Aviation through a classmate during college. She invited me to come to a meeting and I immediately immersed myself in a handful of different volunteer organizations. I then found out about the different scholarship programs WAI and the 99s offered and began applying for as many as I was allowed to. 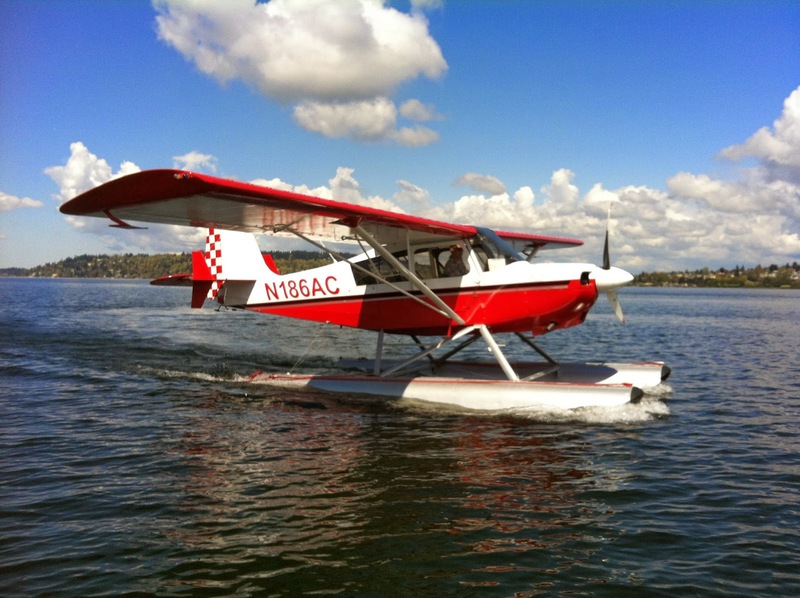 I was awarded a Ninety-Nines scholarship that allowed me to finance my instrument and tailwheel training, and another one the following year that paid for my sea plane rating. 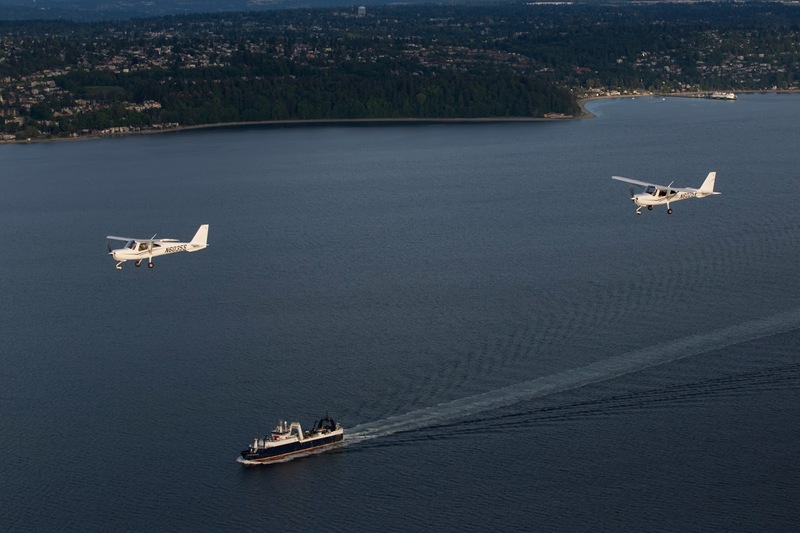 I became a volunteer with the Coast Guard Auxiliary as well and was able to get flight time with experienced pilots who would give me informal instruction during volunteer missions. Because I surrounded myself with aviators, I was able to increased my flight time quickly and began applying for WAI airline scholarships and type ratings. I'm now flying for a regional airline with 6 1/2 years of seniority, I finished my bachelors degree as fast as I could because all I wanted to do was fly. 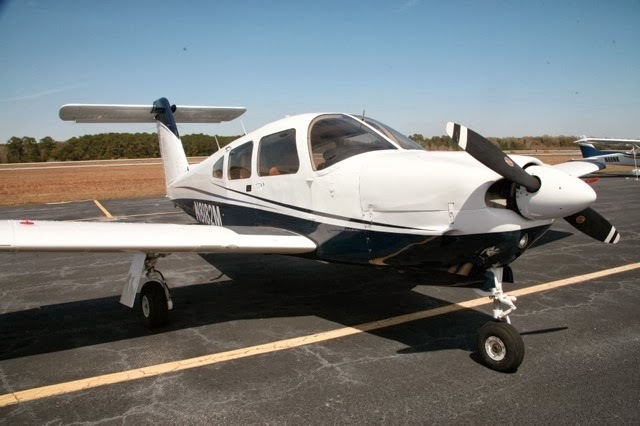 I received a student loan which allowed me to complete my flight training, I flight instructed, was hired by a regional carrier, went through a 2 year furlough, back to flight instructing, then charter, and back again to the airline. Five years of working on the same one particular scholarship application for that one airline I've always seen myself flying for, and I received the phone call. They chose me this year. The difference with my application this year, was the amount of support I had. I had people I'd never even met spending hours out of their day critiquing and encouraging me to keep working to improve my application. I also had the support and recommendation of my Chief Pilot who I had gained the respect of after years of working under. All of this support combined with perseverance lead to a successful application. The moment I received the call telling me I was chosen for this years scholarship, two things came to mind. The first one, I have so many people to call and thank for their amazing support and help! And the second was, I can't wait to put some energy into giving back and supporting others and figure out how I can help people, because truly I feel like the most blessed person on this planet. " If anyone has any questions for Emily, please do so. And join me in wishing Emily a long, and wonderful career! I've flown the T-38 off and on now for 25 years. In that time, I've collected about 1500 hours and about as many sorties. Lots of those hours were spent giving instruction to someone new to the plane. By any measure, I'm pretty experienced and certainly don't have room for excuses if things mess up. As much as I might wish otherwise, experience doesn't prevent me from screwing up, ever. Last week I over-sped my flaps while on a touch-n-go. I exceeded the flap limit by three knots. It wasn't a student pilot's fault. It was me on the controls doing something I'd done literally thousands and thousands of times before. While we might think of these types of things in the domain of less experienced aviators and not so much associated with old heads like me, I did it clear as day. I was giving a new Flight Test Engineer her orientation flight in the T-38. It was her first flight in a high performance aircraft. 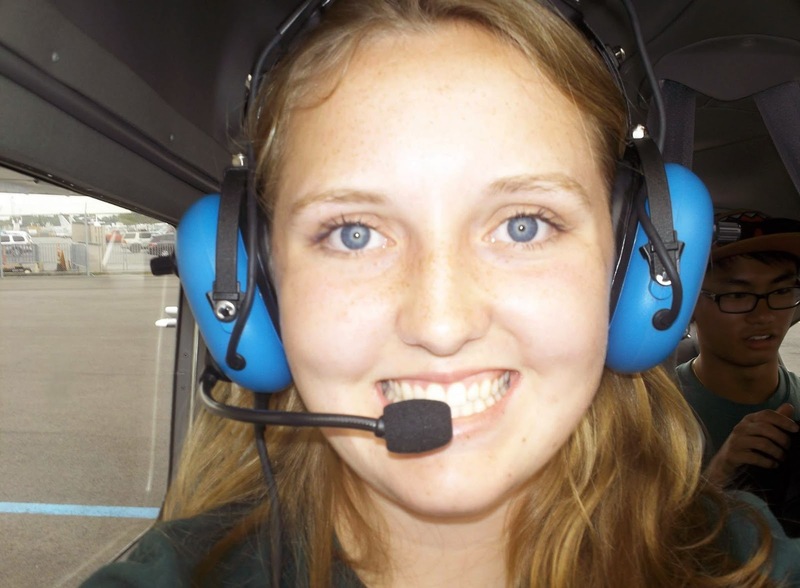 She had already finished the Airmanship program, which was five flights in a Cessna 172. Our mission was about taking her exposure up a notch. This was her first flight all alone in the backseat, complete with helmet, mask, and g-suit. It's a big transition for most folks because the environment is so different than anything they have done before. Between the helmet and mask making even the least claustrophobic person feel cramped, the g-suit squeezing their guts, and the act of flying upside down, lots of new FTE’s have a terrible time on their first flight. Nope, not Scrappy. She did fantastically well, which only makes what happened later more frustrating. We finished the flight out in the area. Scrappy was great. 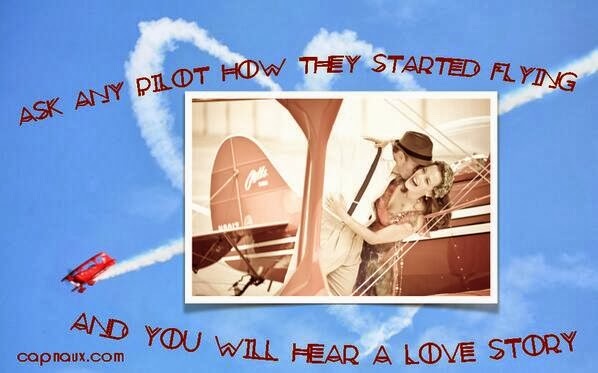 Now, back in the pattern, I was talking through all the mental processes that should be running through her head — where we were, what the plane was going to do next, watching the fuel, the speed, and knowing how fast we were supposed to be while in the pattern. It was all normal stuff. As is our procedure, I did a full-flap touch-n-go, which worked out beautifully. As is also our procedure, I repositioned the flaps to 60% while accelerating for the next take-off. After being airborne, I raised the gear at the right time, then promptly forgot the flaps. At least I forgot about them until it was three knots too late. In case you haven’t flown the T-38 or any high-performance aircraft, let me explain: in the pattern, you never directly reference checklists. You don’t look and read what you’re supposed to do. You just do. Time is better spent looking out the window than spent in-cockpit staring at a procedure you are so familiar with. Of course, something happened and I forgot the dang flaps. The real impact of hurting the plane like this is it’s “downed” until the flap mechanism is checked. As is the case 99.9% of the time, maintenance found nothing wrong, which doesn’t make what I did (or didn’t do) any easier to accept. 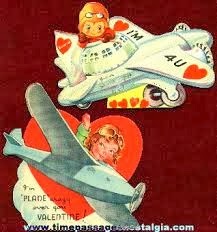 Because the plane was “down” for two days, we lost a day of sorties that plane could have flown. This has the biggest impact, since our Senior class is a week and half behind schedule and not getting much better. Scrappy - I didn’t have to teach her much. She new exactly what happened. 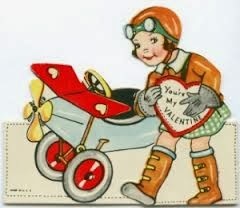 In fact, as I pulled the throttles, just too late, she was trying to warn me from the backseat but couldn’t think of the words. In debrief, she said she noticed the overspeed about the same time I did. That meant a couple of things to me: first, that she knew what the limits were, which she’s not required to know at this stage in the curriculum; second, she was watching for it but wasn’t quite there to really save the day. Both of these tell me she’s well on her way to being a great FTE. There’s not much more to tell. As we say, it was pure buffoonery. No one wants to be associated with such things. I certainly don’t. But, let me point out to any of you new or old aviators: if you think it can’t happen to you, think again. No one is exempt from making mistakes. I was reminded of that first hand a few days ago. Are you Ready for some Aviation Fun next weekend? Is less than one week away. Eric, Cap'n Aux, Auxier and I will be meeting aviation enthusiasts and autographing our books! We hope you can make it and join the fun. This is the most aviation you can get under one roof, and we are looking forward to meeting you in person. You can find us in booth 124... under the Jet Star Publishing sign, across from the information desk in the first row... across from Alaska Airlines, Horizon and ERAU. This is going to be a great weekend, and you're invited! Click Here to check out the schedule of events. 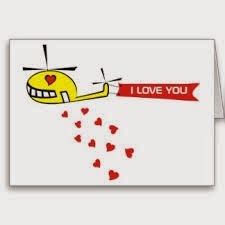 Is send Aviation Valentines your way. I watch TED talks for their thought provoking content. Most of the time when I watch those videos, I think of their application to what’s going on with me at the time. After watching a video, my mind drifts from one idea to the next. I think that’s how creativity works—your mind wanders a bit aimlessly until you settle on an idea. We talk a lot about where we’re going as individuals. We talk about setting a course for our dreams. We talk about how to overcome adversity when working towards goals, like the path you’re on will be full of alligators and traps and other crazy things. We always talk about getting somewhere. In effect, we talk about the destination and how to get there. But we rarely talk about what’s going on at the moment. Essentially, we look past the path we’re on, where we are, and look into the distance where we’re going as if that was the only thing that matters. I think that’s a mistake. Of course having goals, pointing yourself somewhere, is important. But it isn't the only thing. When you reach those goals, finally climbing to the top of the peak, does that really make a big difference? After reaching the peak, what do you do next? What happens to that feeling of accomplishment? It’s fleeting. About 10 years into my USAF career I was at Test Pilot School when a thought came to mind: “What am I going to do next?” See, when I started my career I wanted to get into Test Pilot School. It was my only long term goal. Then when I met that goal and had another 10 years to go before a regular retirement, I realized I had no idea what to do next, what path to take, or where to set my sights long term. I struggled in that state for a few years, trying to figure out what to do. If you’re like me, you’ll see short term goals materialize with a clear long term goal to point the way. Not having a long term goal made selecting my next assignment quite frustrating. For some people, reaching the goal is never enough. It just means that it's the end of that path and it’s time to shoot for another. For some people, reaching the goal is the only consideration. The path they take may not be where they want to be, but the goal is their excuse. After all, if the goal is good then everything else doesn’t matter and will fall into place. Unfortunately, it’s not that simple. The brain has a complex reward system with various chemicals that get released when goals are met. The elementary school version of this process is: we reach our goal, chemicals are released, we feel good and want more. This can be highly addictive stuff. Even if you know your goal isn’t very good for you, reaching it still rewards you with that good feeling and makes you want more. What if we transformed our attention from what’s at the end of the path to the path itself? What if the focus of our attention was where our next step was being placed? What if we changed our primary attention from getting to a specific location to what leads us to that location? Focusing on where we place our next step might seem overly simple, but I can assure you it’s not. Just think how hard it is to wake up the day after you committed to early morning workouts before going to work. It’s hard. Simple short term goals are hard. To me, these goals are dreams of who or what we want to be. They are not idyllic locations we strive to get to. Instead, they are the path right in front of us. We should interact with those dreams day to day. And, we should feel rewarded for being precisely on that path. After all, it’s not about the destination. It’s about how we get there. Flight For Control and Flight For Safety are part of a mission: To never have another airline crash. Stopping planes from crashing may help those of us who travel and fly for a living. But it does nothing for those souls we have lost in an airline accident, or those family members and friends left behind who will never feel their loved ones touch again. 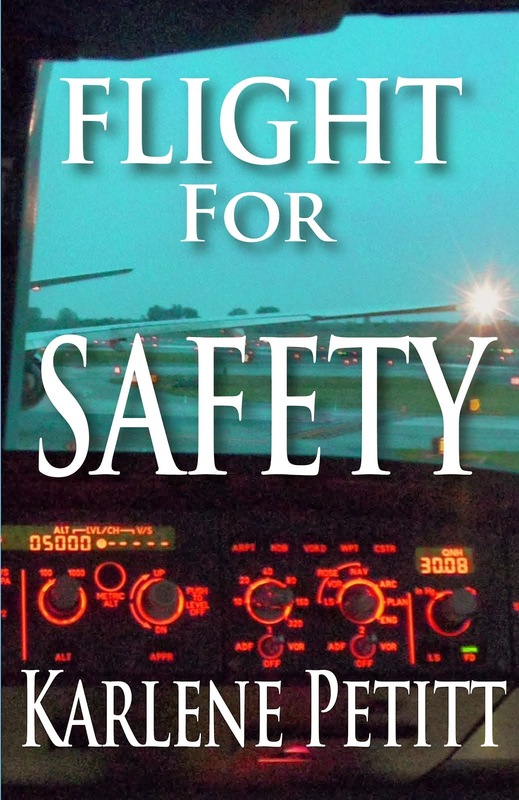 Flight For Safety is dedicated to anyone who has ever lost a loved one in a plane crash—passengers or pilots. While this story is a work of fiction, it mirrors life, and as the case may be—death. When a loved one dies in a plane crash, it’s hard to move forward. Guilt, anger, and the need for accountability fill your heart. We want answers. But when there are none and the accident could have been prevented, it makes moving forward all the more challenging. We may not have control of all events that occur in our lives, but we do have control of how we deal with them. While we cannot bring anyone back, I promise to do my best to not allow aviation deaths to be in vain. As I journey through the remainder of my career, I will work toward making aviation the safest possible and will be a guardian of our future pilots and their careers. 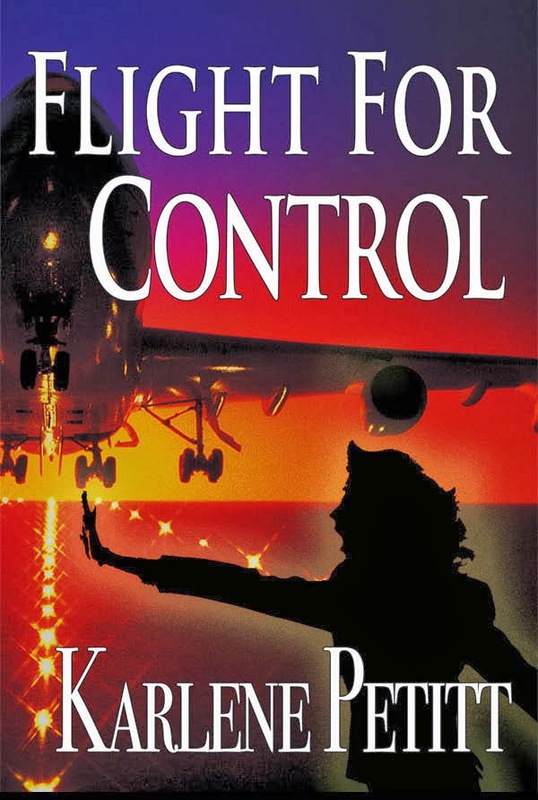 If you haven't read Flight For Control yet, I am running a combo special off my blog for both books. A great deal to make the journey complete. THANK you all for your support in my mission. 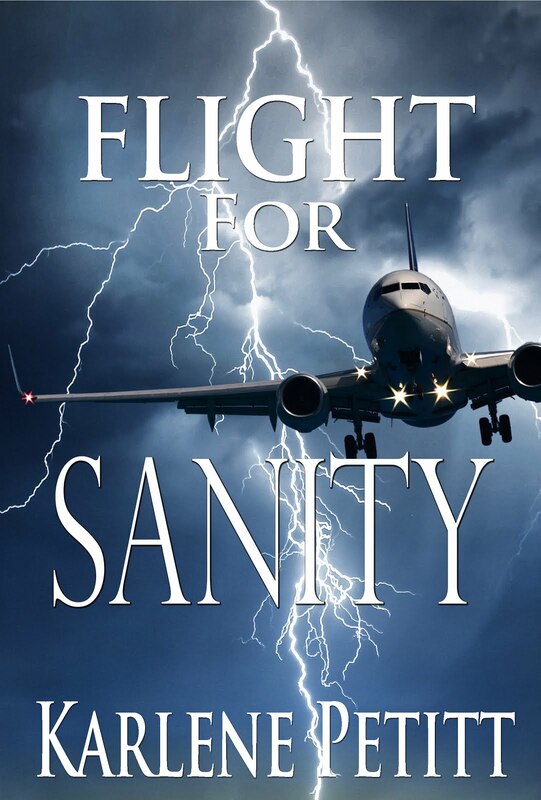 And if you missed the post about who endorsed Flight For Safety, click HERE. I've got my manuals spread over my desk as I study for recurrent, and it occurred to me that the there is a political difference between the A330-300 and A330-200 models concerning fueling the plane. We fuel our planes with either Jet A and Jet A-1. Why one or the other? One reason is we can't get Jet A outside the US. But then why would we want it? The difference between the two types is Jet A-1 has a lower freezing point. Jet A's freezing point is −40 °C (−40 °F) and Jet A-1's is −47 °C (−53 °F). Another interesting fact is that Jet A-1 has a mandatory anti-static additive. Is one more expensive than the other? I'm not sure. If you have any more data on the fuels, I would love to know. All I know is it smells really good. The A330-300 belongs to the right wing party, and the A330-200 is a bipartisan plane. Do you know why? Answer to come tomorrow, but have fun guessing.